7. TomBihn’s Aeronaut 45 ($295) is an incredibly versatile duffel/backpack/shoulderbag. If you’re going to a part of the world where there aren’t great roads or you’ll be hopping from bus to bus, you’re not going to want a roller bag, so opt for a duffel instead. The Aeronaut 30 is the maximum carry-on size. It has a spacious main compartment, lots of mesh stowaways for organization, and generous end pockets, large enough to fit size 12 shoes. The bag is waterproof and built with reinforced ripstop fabric, which prevents runaway tears. 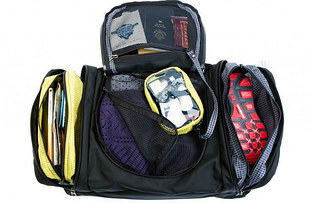 Tom Bihn also offers several packing cubes that’ll help you get the most out of the space inside your bag. Best of all, the duffel comes with a lifetime guarantee. If something happens, the company will repair it for free. 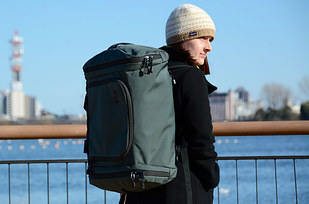 The Aeronaut 45 is best for weeklong (or longer) travel. If you’re more of a weekend warrior, opt for the smaller 30-liter model ($285). Get it at Tom Bihn.